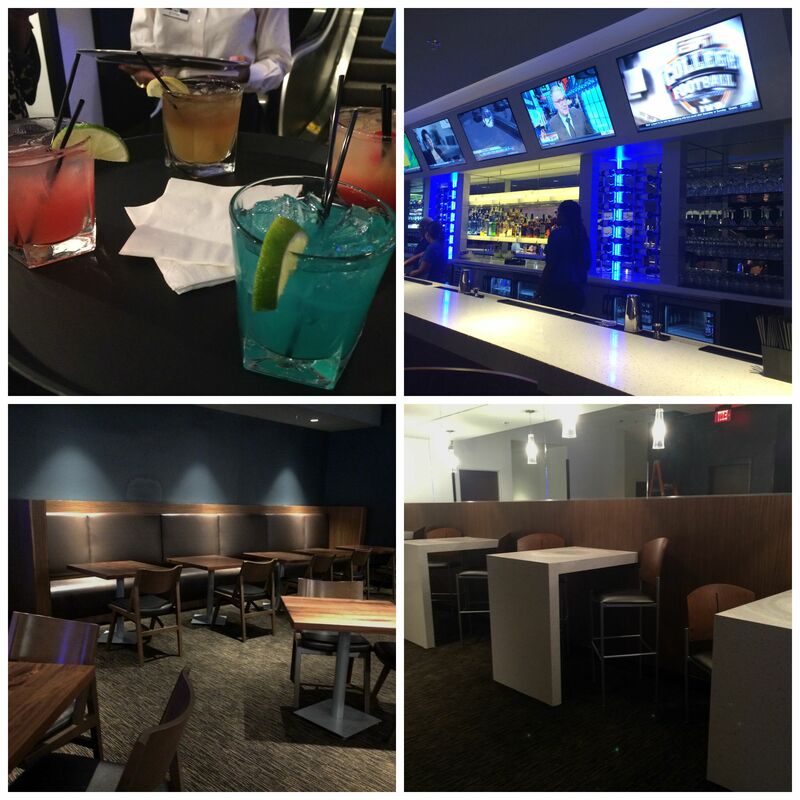 Disclosure: I attended a VIP media preview of the new Studio Movie Grill in Upper Darby PA. I received two movie passes for attending as well as complimentary food and beverages. All opinions are my own. 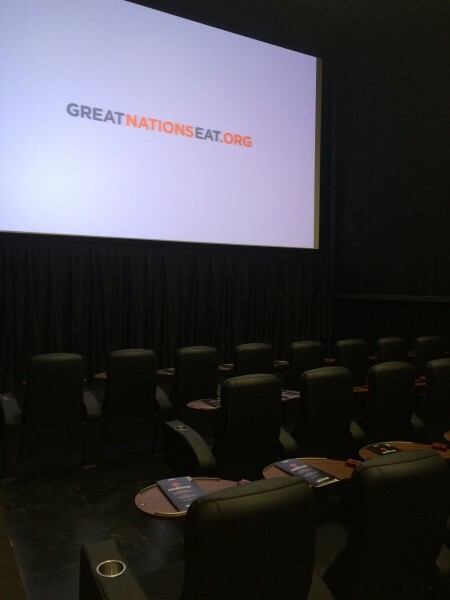 Have you tried a dine in movie experience yet? If not, you are in for a real treat! 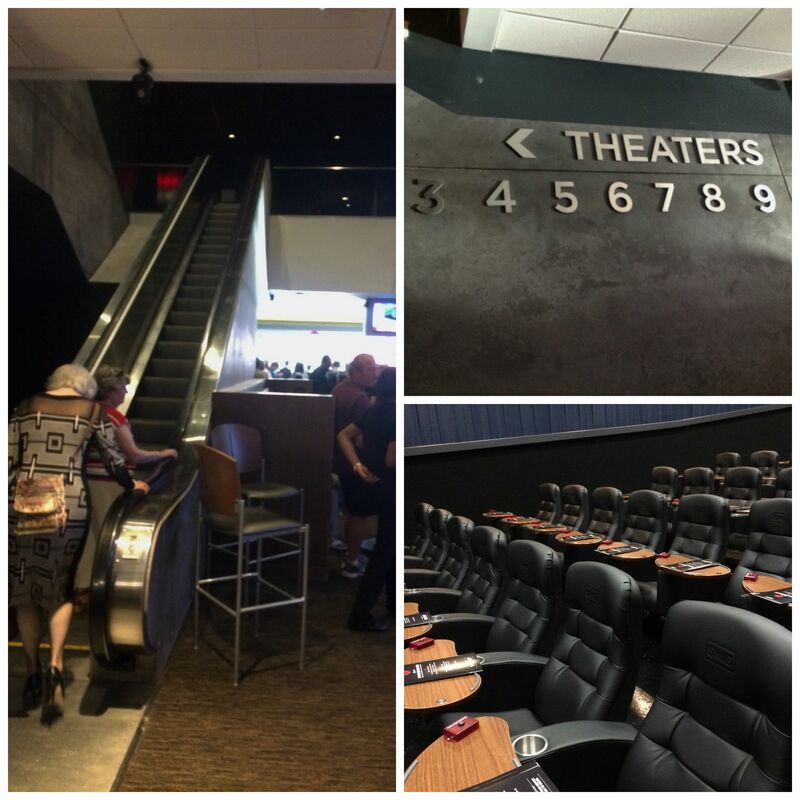 Studio Movie Grill, located on 69th street just up the street from Tower Theater in Upper Darby PA, is now open – and I am so excited to share a sneak peek with you! Last week, my husband and I were invited to attend a VIP Media Sneak Peek of this state of the art, absolutely awesome theater. This new little gem is the first of its kind right here in Delaware County and it’s perfect for enjoying date night, family outings or girls night out. As you enter the theater, you will be greeted by self serve kiosks and a help desk where you can order your tickets and head on your way. You may want to consider heading to Studio Movie Grill’s website to order your tickets at home, saving time and assuring that you get the reserved seats that you want for the movie you are hoping to see. 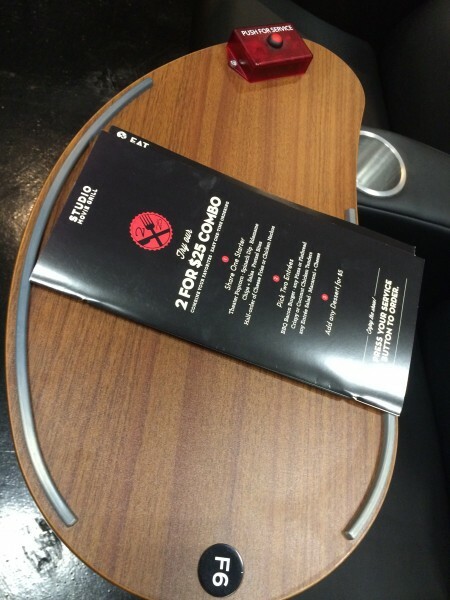 If you are early to arrive for your movie, you can grab a seat (or table) in the lobby bar. The area has a fun, funky club feel – with plenty of modern seating. It’s a perfect place to relax and socialize. The bar offers a large selection of beers, wines and signature SMG cocktails. I had the chance to try the SMG Signature Margarita – and it was refreshing and delicious. If you are a margarita fan, I highly suggest giving it a try for yourself. The servers are friendly and incredibly helpful. In the lobby during our visit, they interacted with all of the patrons, while making both food and drink suggestions. Servers in both the bar lobby and theater area were more than happy to answer questions about the menu. I absolutely loved their energy and enthusiasm. The Studio Movie Grill menu consists over over 100 menu items with everything from full meals to appetizers and desserts. Menu items include Coconut Chicken Bites, entrée salads, Edamame, Steak N Gravy Sandwich, Meatball sliders and Gourmet Pizzas just to name a few. Dessert offerings include Nutella Beignets, Frozen Hot Chocolate, Brownie Sundaes and Cheesecake! For those of you looking for heathier fare, there are even special options marked with a little heart – making it easier to spot the better for you choices on the menu. In addition, there is a fabulous 2 for $25 menu that allows two persons to enjoy two meals and an appetizer for $25. Since going to the movies and dinner can be quite an expense, I love that this option helps to keep on budget when out for date night. For an additional $5, patrons have the options to add a dessert to the 2 for $25 combo. Lastly, I am always a fan of local establishments that give back to the community. I was thrilled to see that when customers order any item marked with the SMG Chefs for Children, Studio Movie Grill will donate 5% of the proceeds to non-profits servicing special needs children. In Upper Darby, this will be benefitting the Kinney Center for Autism Education and Support. I can’t tell you how much I love this! Now back to the experience – When you are ready to order or anytime you are ready for a drink refill or other menu item, you simply press a button on your table and your server will be right over to assist you. I found the servers to be unobtrusive and skilled in making their way around the theater without disturbing the movie experience. Overall, our meals were very tasty. The appetizers are spot on! The burger was not as hot as we would have liked, but the overall portions and taste were really good. My blackened chicken salad was huge – and I savored every bite. When it came time for dessert, the Nutella Beignets were so hot and fresh that I literally could have cried. They were absolutely heavenly! 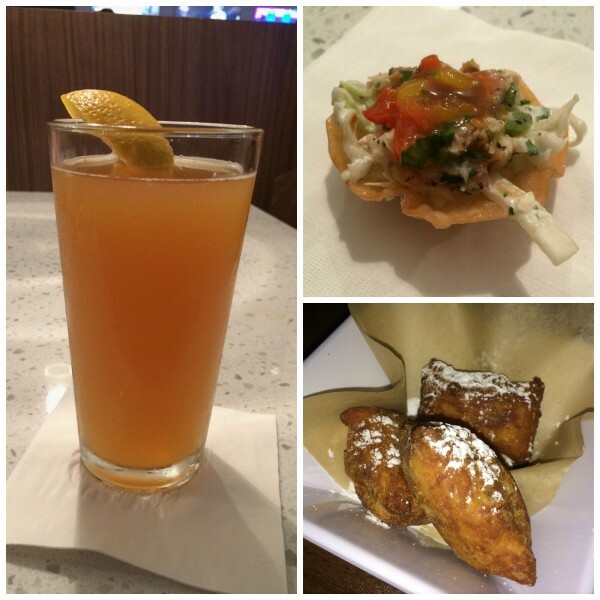 Food and drink specials are offered every night of the week. Mondays boast $5 House Margaritas, Tuesdays – $5 Long Island Iced Teas, Wednesdays – $5 Big Beer Cans & $10 Endless 1 topping Pizzas, Thursdays – $5 Deep Eddy Vodka Highballs, Fridays & Saturdays – 25% off Bottles of Wine and $5 Off Maragarita pitchers and Sundays – $5 Betty’s Blend and SMG Cellars. o Date Night Series – SMG will launch an all new date night series in Upper Darby August 5th with Almost Famous and every consecutive first Wednesday of the month at 7:30pm. Tickets are only $3. Enjoy a 2 for $25 combo meal and a favorite beverage with someone special! o Girls Night Out – Favorite chick flicks every second Wednesday of the month at 7:30pm with all tickets only $3 each! The series begins on Wednesday, August 12th with the classic Flashdance. Add a cosmo for a perfect addition to a night out with the girls. o Family Rewind – Every 3rd Wednesday and Sunday of the month this series gives patrons the opportunity to start a new family tradition by sharing all-time favorite movies with their children. This program begins on August 19th with Matilda at 7:00pm. Tickets are also only $3. o SMG Toons! – The entire family can enjoy a series of popular cartoons every Saturday and Sunday morning at 11:00am for only $3 per ticket. o SMG Children’s Summer Series – will continue with Monsters vs Aliens. $3 tickets all summer, Monday-Friday @ 11:00a.m. Affordable fun for the whole family and a great way to beat the heat! Additional special offerings can be found on Facebook (http://www.facebook.com/studiomoviegrillfan) and Twitter @StudioMovieGril). For more information or to sign up for the SMG e-blast, please visit http://www.studiomoviegrill.com. I cannot tell you how excited I am to have this awesome theater right in our neighborhood! It is such a great place to enjoy time with family and friends – and the perfect way to get in dinner AND a movie at the same time. (It can be tough – and expensive- getting a babysitter for longer periods of time!) The theater is located just up the street from the 69th Street Terminal, making it an easy commute for those using public transportation. For those driving, there is a parking lot located just behind the building as well as an abundance of street meter parking. 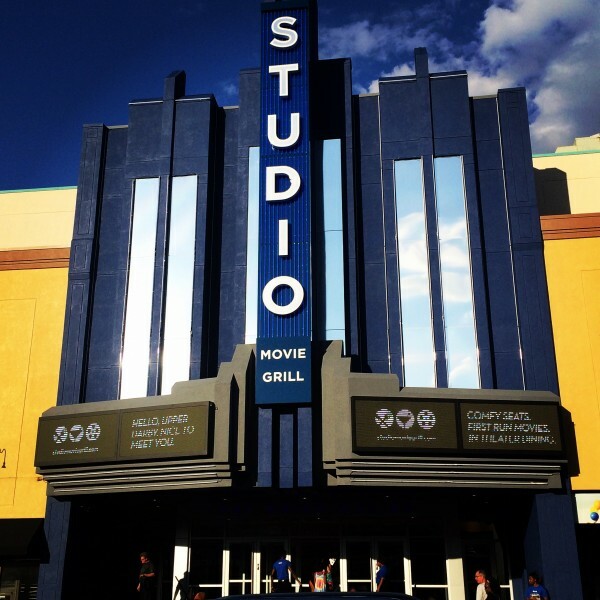 So – who else is as excited about Studio Movie Grill Upper Darby as much as I am? Who wants to check out the theater for themselves? Thanks to the extreme generosity of Studio Movie Grill, FOUR very lucky Delco Deal Diva readers will each be selected to win one 4 pack of tickets to the new Studio Movie Grill in Upper Darby! Yes – that’s a total of FOUR winners! (Please note: giveaway tickets cover the cost of admission to movie only – food and drinks are not included) Simply enter via the easy Rafflecopter form below. Winners will be selected on Thursday August 6, 2015 . Good Luck! I am looking forward to checking the theater out soon! This sounds like so much fun and a great date night……my hubby & I could really use a nice date night!!! Would love to check it out for a fun date night!! thank you so much for this review! Us Delco give employees have been eyeing the place up since they started renovating and we can’t wait to go! It looks like a great place, I need to head out there more often! I sure could use a night out with my husband! It would be great to see a romantic movie and have a night out. That looks like such a fun date night! Putting it on my list. I’ve never been to a dine in theater and would love to check it out w/ the family! Jeanine recently posted…Turbo Fast New Episodes Plus Free Activity Sheets! Thanks for the opportunity. I would love a movie night with my family! Great post. I want to check out the family-friendly pragrams with my godson and daughter. Looking forward to checking this place out soon! I would love to attend a showing here. I would love to take my family to the movies. Thanks! My husband and I could use a night out alone. We have a 9 week old and a 5 year old. Love your page and the info I find. Looking forward to checking out theater! !